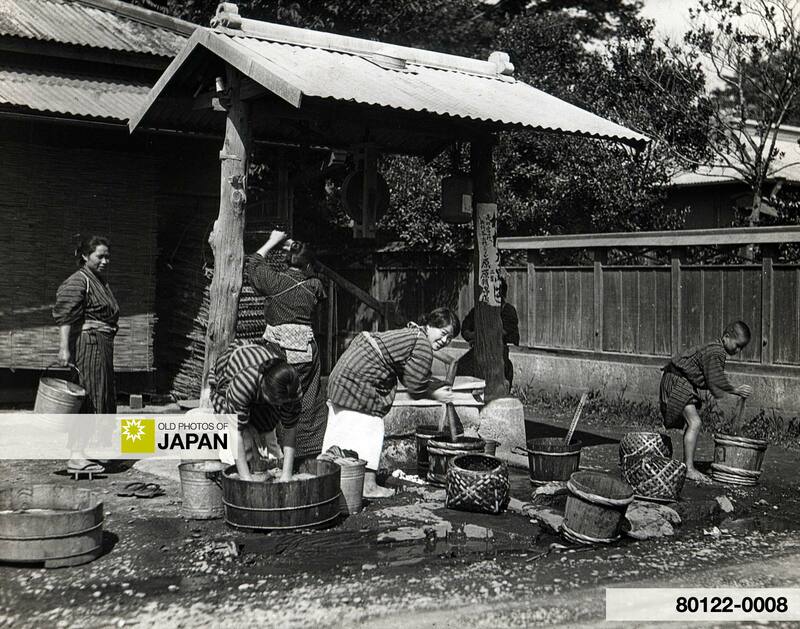 Women in traditional clothing are washing clothes in small tubs at public washing place in Kamakura. Before the general introduction of the electric washing machine, washing clothes took many hours and was extremely hard and tiring work. You can also licence this image online: 80122-0008 @ MeijiShowa.com.